The Muses Reading Series brings together Ottawa’s poets and musicians. Please join us for the sixth reading, featuring poetry by Nadine McInnis and music by Kathleen Johnson. Admission is free, but donations are welcome – please help support the local arts community. For more information about The Muses Reading Series, contact Mike Buckthought at helios –at– ncf.ca. 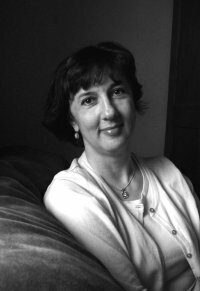 Nadine McInnis is the author of five books of poetry, the most recent being Two Hemispheres and First Fire / Ce feu qui devore, one book of fiction, Quicksilver, and one book of literary criticism on the love poems of Dorothy Livesay. She lives in Ottawa where she teaches in the Professional Writing Program at Algonquin College. Kathleen Johnson has been working for over 20 years as a music therapist in long term care, and one of her favourite spare time activities is to spend time in the studio recording. Her latest project was the release of her CD entitled “You Might As Well Live,” a compilation of poems of Dorothy Parker set to original music. The Muses Reading Series brings together Ottawa’s poets and musicians. Please join us for the fifth reading, featuring poetry by Kera Willis; music by Kera Willis and John Lloyd. Music by Kera Willis and John Lloyd. Followed by an open stage. 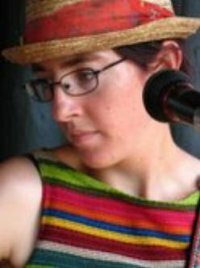 Kera Willis is a local poet, writer, artist, musician, stilt walker, horse trainer, and traveler. Adopting various incarnations depending on the mood and season, she remains dedicated to creativity in all its forms – the alchemy of transformation. Her first book of poetry, Tenebrismo, was published in the summer of 2007 by Greyweathers Press. 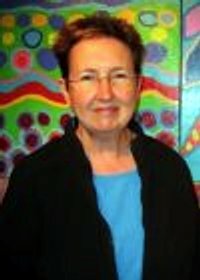 Both her prose and poetry have appeared in various magazines, including Prairie Fire, Lichen, and Room. In 2006 she launched the micro press Blue Riot Publishing, as another way to get her words into print. Her ‘tiny books in costume’ have appeared at the Ottawa Small Press Book Fair, Ravenswing Fair, and Canzine in Toronto.